Time was, coffee was just coffee. You didn’t worry about what types of coffee drinks there were! You just drank it black or with milk (cream) and sugar; what’s worse… it was mostly instant coffee, too! There were no variations unless you went abroad and were introduced to espresso or cappuccino in Italy or another European nation. 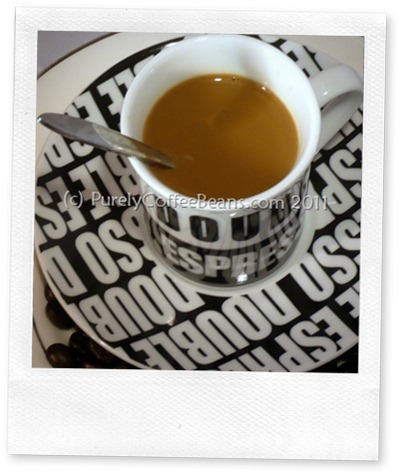 In America, coffee was simply coffee until other types of coffee drinks came into vogue about twenty years ago. In the UK, you ordered coffee by the color. That was that. Now, hardly anyone goes to a coffee shop and orders a regular cup of coffee, not with all the different coffee drinks that have been introduced. People who love coffee now enjoy it in a lot of different flavors and varieties. So let’s take a look at the different popular kinds of coffee drinks that you can find at your local coffee store or supermarket or coffee shop. One of the most popular coffee drinks is cappuccino, which is basically coffee with cream but with an intense infusion of caffeine. Two shots of espresso, one part steamed milk, and a little milk froth, it’s a waker-upper that can’t be beat and very tasty. This is a very popular drink in Europe that has established a firm foothold in North America. Though in Italy, where the drink first became popular, it’s only drunk in the mornings; in other parts of the world, you can have it any time! And I do! There are variations of cappuccino, such as Caffe Latte with 1 part espresso, 1 part steamed milk topped by milk froth. This drink is particularly favored by those who prefer a lighter drink, with a little less coffee. If you like your coffee sweet you’ll like Caffe con Leche which is espresso, steamed milk and a teaspoon of sugar. One store also sells a Latte Macchiato which is a Latte with additional caramel syrup in the drink, and a dash of caramel on the top for color. If you like chocolate you’ll love Caffe Mocha with espresso, steamed milk and cocoa powder. Less popular in some countries, but adored in both Italy and South America is the Espresso coffee. It’s a simple shot of the strong coffee served in a tiny espresso cup. You can also order a double shot, if you wish a longer drink. In some countries, it’s made with sugar, while in others you add the sugar yourself. A good espresso is normally strong and dark in color. It has a good body and good texture. Though it may be made from dark roasted beans, some coffee brands excel at producing a great espresso from medium roasted beans. Also, many espresso beans include a measure of Robusta Coffee beans to boost the body, flavor and caffeine of the final drink. Naturally, you’ll find some interesting espresso variations: one that is even tastier is Espresso con Panna, espresso with whipped cream on top. There’s also the Caffe Macchiato, which has a small amount of milk or even foam spooned by hand onto the top of the espresso. The final variation is the Caffe Americano that is made with 1 part espresso and 3 parts water. This produces a stronger coffee drink than a cappuccino or even a drip coffee. You can also ask for an extra shot. Often drunk black, I usually add a dash or two of cold milk for flavor, and to cool the coffee. Suggest that if you order this, ask them to use less water, if you get it to go. Other popular types of coffee drinks include making iced coffee drinks, coffee made with crushed ice (Starbucks calls this frappuccino), and even edible variations where coffee is used to make delicious deserts. Coffee drinks are very popular in Europe and often served as much for visual effect as for taste. One example of this is Bombon, popular in Spain. Espresso is combined with condensed sweetened milk but in a transparent glass. The milk settles to the bottom of the glass creating a pleasing bi-colored drink that is delicious as it is attractive. In Italy, especially Rome, Espresso Romano is the preferred coffee drink; espresso is served with sugar and a piece of lemon rind. In Germany people like to drink Eiskaffee (ice cream coffee) which is cold coffee with sugar poured over vanilla ice cream. Sometimes it is topped with whipped cream. Understandably, this drink is an important part of enjoying the warm summers! In Vietnam the people enjoy Ca phe sua da (or Café Sua Da), which translates to iced milk coffee. 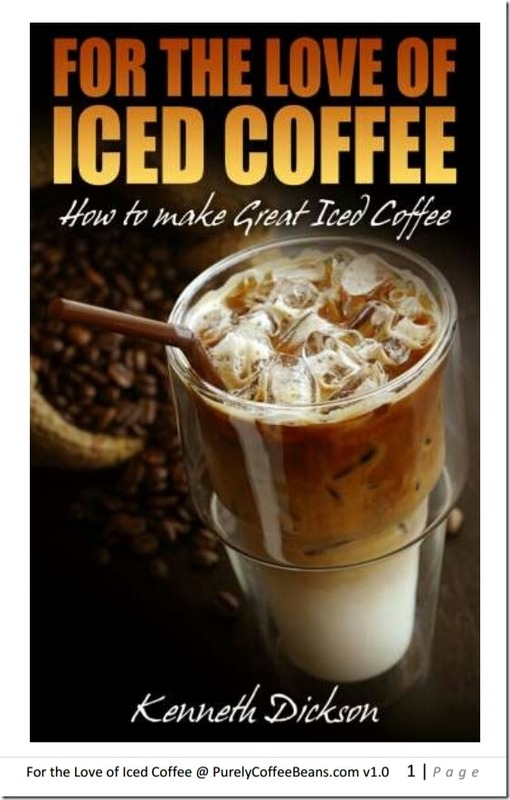 It is sometimes made just by mixing black coffee with sweetened condensed milk and pouring it over ice. More often it is brewed using a drip filter and fed directly into a cup containing the milk then poured over the ice. Frappucino has become very popular, particularly in the warm months. It is made with espresso and one of many flavors, one of the most popular being hazelnut but can also be made with vanilla, chocolate, raspberry or other flavors. This combination is poured into a blender with ice and milk, creating a frothy drink that is not only refreshing but delicious. Various restaurants use instant coffees to make this, especially one popular chain; while others use fresh shots of espresso as the base. I already know which I prefer, and it’s not just because the popular frappuccinos are high in calories. Coffee has become the base of many wonderful drinks. With all these varied concoctions, even people who don’t care much for the taste of coffee can enjoy its benefits! Now I know that this is an overview of the different types of coffee drinks, but it is not comprehensive at all. So why don’t you contact me, and let me know what yours is!